Department of Agronomy, The University of Agriculture, Peshawar, 25130, Khyber Pakhtunkhwa, Pakistan. Although commercial herbicide are very effective in controlling weeds but their continuous use causes toxicity and develop resistance in weeds and pollute underground drinking water. Alternative environmental friendly methods are needed to explore possibility of weed control and enhance crop yield. 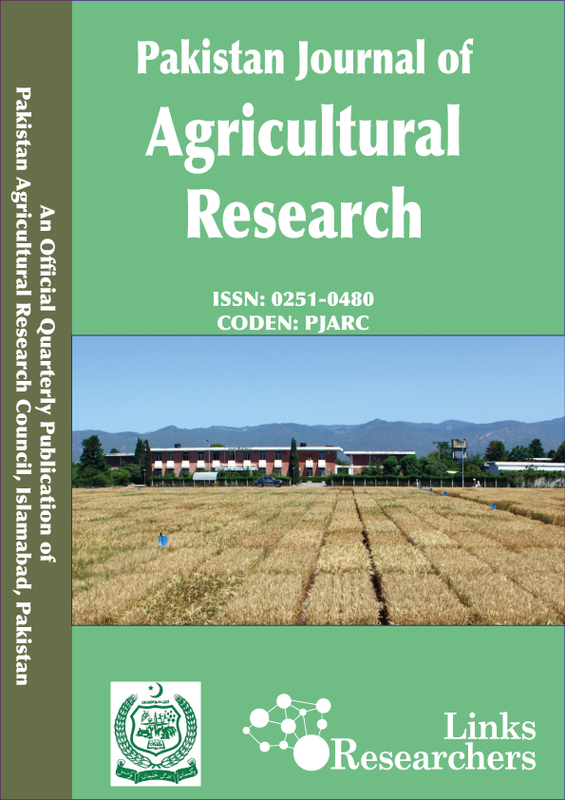 Sorghum extract and their application times on weed dynamics, phenology and leaf tracts of variety Atta Habib was sown at the Research Farm of Agronomy, The University of Agriculture Peshawar, Pakistan throughout 2015-16. Used of sorghum extract with three concentrations (1:3, 1:4, 1:5), weedicide (affinity) with three different levels (1/3, 1/ 2, 2/3 of the recommended dose) and 3 times of application (emergence,tillering,50% at emergence + fifty percent at tillering). Herbicide sole, weeded by hand and un weeded plots used for comparison. Results showing that concentration of sorghum and appliance point considerably increased days to heading, anthesis, physiological maturity, area of flag leaf, tillers number m-2 and spikelets per spike and decreased weed density in wheat. Sorghum extract sprayed at 1:3 gave more days to anthesis (123.4), days to physiological maturity (155.0) and sorghum concentration applied at 1:4 gave significantly more tillers m-2 (194.5) and more spikelets spike-1 (21.0). Sorghum extract concentration with combination of weedicide sprayed at tillering stage gave less number of weeds (76), minimum weed fresh weight (170) and dry weight (132), increased days to heading (116.5), increased days to anthesis (123.0), increased days to physiological maturity (154.4), maximum number of tillers m-2(192.6) and more number of of spikelets spike-1 were found when treatments applied 50% at emergence + 50% at tillering or tillering stage. Days to heading were found non-significant. It is concluded that sorghum extract concentration 1:4 with 988g ha-1 of weedicide affinity applied at tillering stage is recommended for high days to heading, anthesis, physiological maturity, amount of tillers-2, area of flag leaf and more spikelet’s spike-1 of wheat crop.